After taking the overnight bus from Mexico City and crossing the border, we paid our 300 pesos to leave the country (you can also pay in American Dollars and their is a bank at the border) and arrived at the Belize City bus station to be greeted by a load of taxi and tour guides trying to sell us tickets to Caye Caulker. Travel Note: if you're looking to go to Caye Caulker straight away then these guys are your best bet. Negotiate with them on a good price to the water taxi stop - this is a 5-10 minute ride away so don't pay any more than 7-10 Belize dollar each. They will also give you prices in American dollars, but again ask or it in Belize as you will get a better rate. 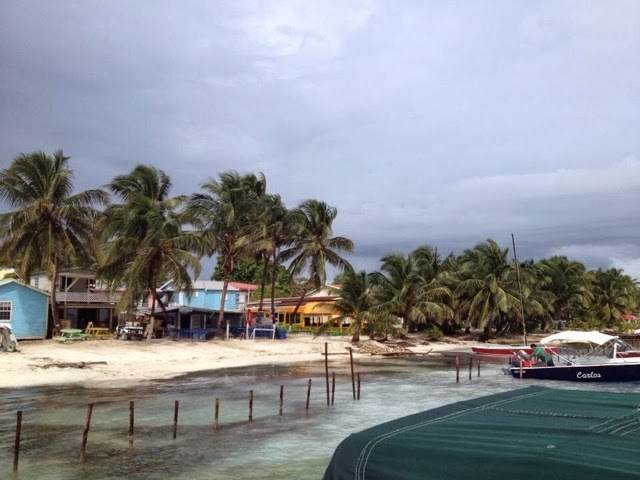 We decided after a long bus journey that we would stay a night in Belize City. The hotel was nice (we booked through Hostelbookers.com) but there was not much to see in Belize City and I had heard and seen rumours that it's not wise to go out their at night - something which I too would completely agree with. 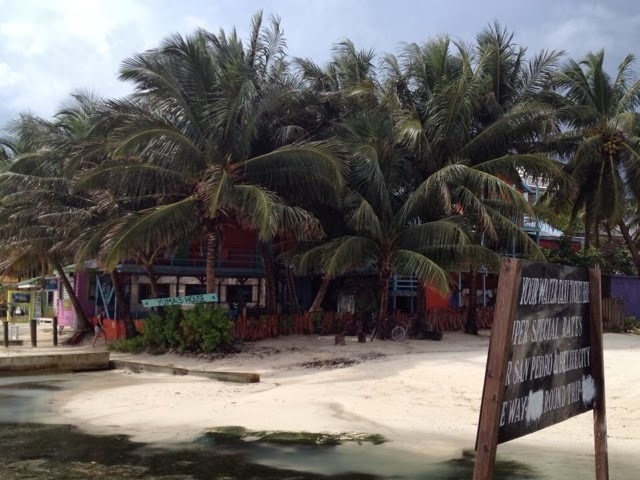 If you can hack it, head straight for the water taxi to visit the island of Caye Caulker which is what I wish we did. So after a good nights sleep we headed straight to the water taxi stop. Here you will find two companies, one with a green boat which is called the Belize Water Taxi (35 Belize dollars return) or a white boat which is called he Caye Caulker water taxi (25 Belize dollars return). Both take the same amount of time, 45 minutes, and their stops are right next to each other on the island. We took the green taxi, as we were greeted by a friendly guy who "assured us" that they were the "only" water taxi company that went to the island. But it was only 10 Belize more (£3.20) more and so we weren't too fussed. First thing, Caye Caulker is definitely worth a visit. This island is so special to me as this is where I GOT ENGAGED, but it also has the second biggest reef in the world and hosts some of the most spectacular sunsets that I have ever seen in my life. The island is a mixture of Caribbean, Belize and Americans who have come to the island to live a laid back lifestyle and that's definitely what you will get. A sign posted on the main streets said "we have 2 graveyards and no hospital, so take it easy man". Before arriving on the island we pre-booked at a place called Yumas Hostel, which is right at the dock where you get off the water taxi. It was a a great place to stay...big hammocks in the palm trees and docks, swings and two response sized kitchens meant that we could cook and save money whilst staying on the island. We also paid for a private room which overlooked the idyllic docks and sunsets on the island. In total it was £10 (30 Belize Dollars) each per night. They do get fully booked very quickly so make sure you email the lovely owner Suzanne to make your reservation. If you arrive to the Island and have no where to stay, don't worry. There's a lot of hostels / hotels on the island and you will be asked by the taxi drivers when you arrive if you need a place to stay. 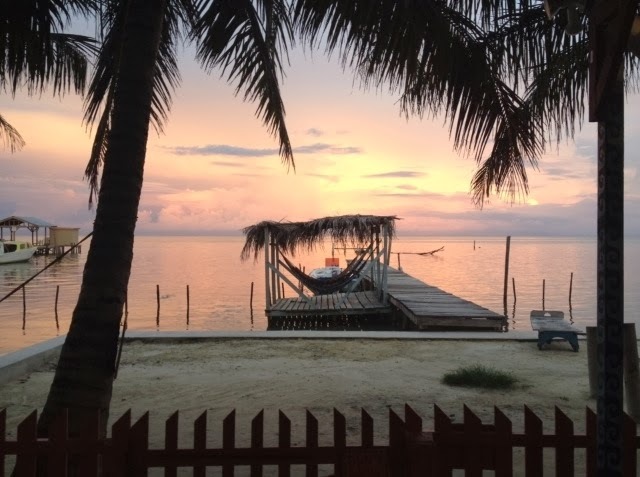 Caye Caulker is nothing short of paradise, so if you want to chill out at the split (the only (small) beach) on the island, chill out with a Belikin (local Belize beer) or head off to dive or snorkel in Shark Ray Alley or the Blue Hole then you can do. My boyfriend (now fiancé) did the snorkel trip with Ragamuffins tours (read their Trip Advisor reviews here) for 140 Belize dollars, which included a full day (10am-5pm) of 3 snorkel locations, lunch and drinks. 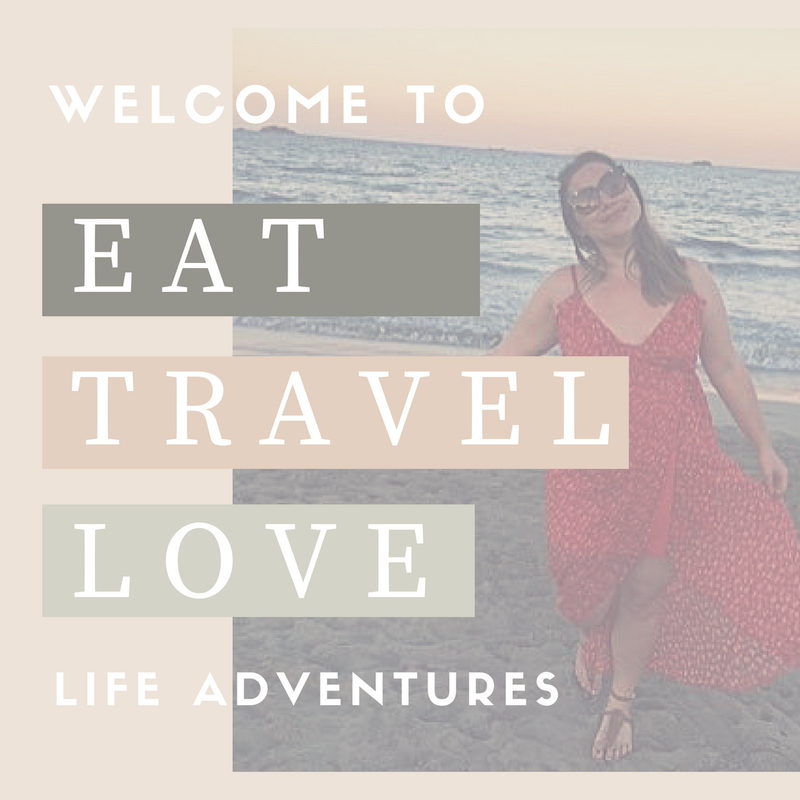 We were told a range of things about eating and drinking here such as "It is 4 times as much as Belize City" and so you will get people trying to sell you alcohol and food before you arrive. This is just FEAR scaring. We found that the prices were not that much more than Belize City and in one case a guy tried to sell us a bottle of rum for 40 Belize Dollars, the same bottle on the island was 10 Belize Dollars. Eating out you will pay anything from 4 to 50 Belize dollars, depending on what you have. We enjoyed fresh lobster that was fried and came with salad and fries for 20 Belize dollars each. Other places that we are out at were Pizza Caulker and had a medium 14inch pepperoni pizza for 18 Belize Dollars. There is also a great Italian restaurant that is ran by an Italian husband and wife, who make two types of (meat and vegetarian) homemade pasta each night and it is amazing! 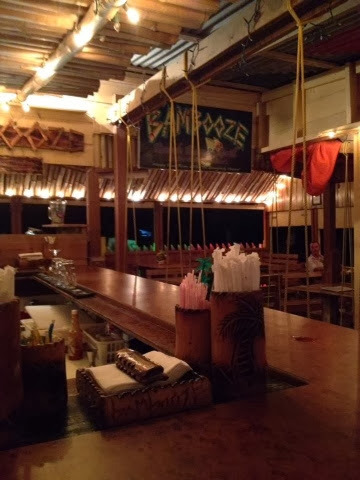 Drinks also range from about 1-10 Belize dollars depending on what you have and if it's happy hour. For example, beers range from 3-5 Belize Dollars throughout the day. 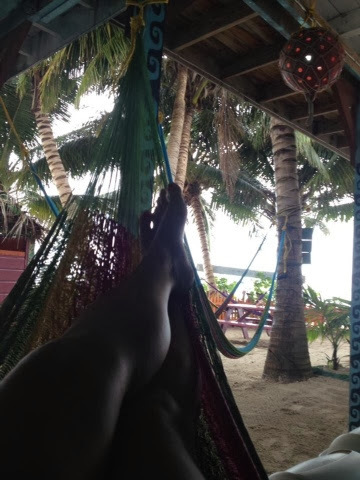 In total we spent six days on Caye Caulker and despite some rainy days it was perfect to chill out and relax. Before crossing the border into Guatemala we decided to pay a visit to San Ignacio, a poplar town with backpackers, to take a trek through the ATM Mayan ruin caves. Unfortunately, due to a very heavy rain downfall the caves had become flooded and we were unable to visit. 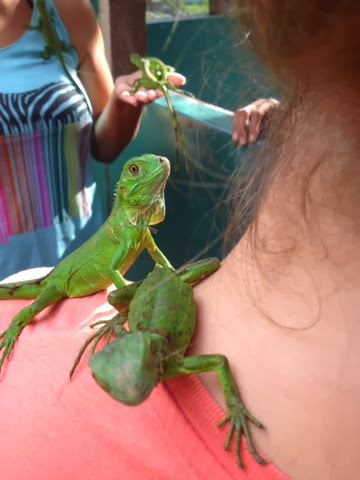 However, when looking on Trip Advisor for things to do in San Ignacio we came across an Iguana Conversation which was rated number one (read more here). Now I am not the biggest fan of lizards, but I have to say this was actually amazing and definitely worth a visit. 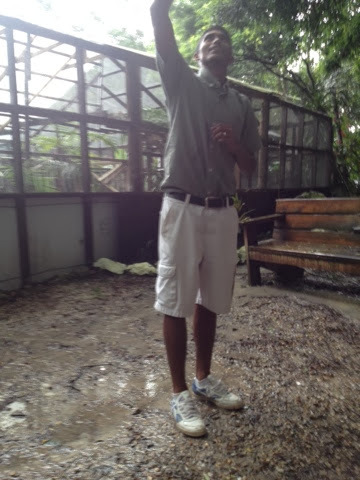 The tour guides are so passionate about the place and you get to hold babies and adult iguanas. Plus it is a non profit organisation, so the 36 GQT (£3) helps to fund the centre and the rest of the money goes back into local education programmes who also help out at the centre. 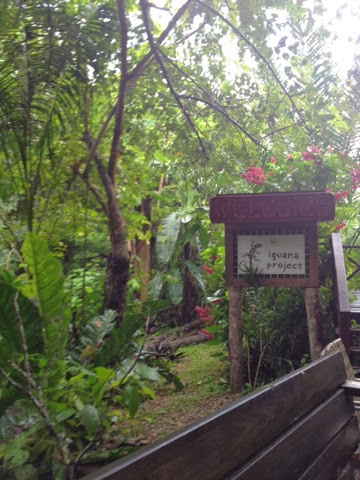 Whilst here we also paid a trip to a small Mayan ruin site which is located 10-15 away from the iguana centre. The majority of it was covered in rain forest plants, however you go through a museum before exploring the temples and they explain about the area and what it was used for. When we actually got to the ruins, I was amazed by the gigantic beauty.